May be given annually for the best color sequence of events involving daylilies. The award is a pewter bowl, awarded by Region 14 each year the award is given. Sarah Sikes of Luverne, AL, is likely the most honored woman in AHS in terms of being recipient of all four of the Society’s major awards for both hybridizing and service. In the mid-1990’s, she was the recipient of the Bertrand Farr Silver Medal for hybridizing, the Stout Medal for ‘Neal Berrey’, and the Lenington All-American medal for ‘Designer Jeans’. Her Windmill Gardens was famous not only for daylilies but for the dead trees with which she decorated her beds. 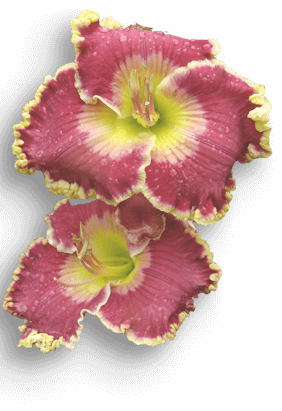 She registered the first of her 132 cultivars starting in 1977 with full-formed pink diploids being the core of her work. She had a “Designer” series of edged tetraploids and also perfected a series of sunfast orange to brick-red tets. These garnered her 40 HM’s and 3 AM’s. In the 1980’s she received the Helen Field Fischer Gold Medal for meritorious service. While serving two terms as an AHS director, she was both 3rd VP and later 1st VP and Regional Officers Chair. 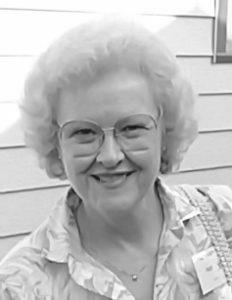 In the 1970’s, she was Region 14’s Regional Vice President (now RP)/editor, and received the first AHS Regional Service Medal in her region. She was also was awarded the first ever Best Regional Newsletter Award. In 1978 she initiated the Region 14 Slide Sequence Award, which currently has been renamed the Sarah Sikes Sequence Award. An award-winning photographer herself, she produced a slide program, later converted to digital, which endures to this day as an AHS program available for those who wish to learn the daylily basics.